10 ft. x 12 ft. x 5 ft. The 12.5 ounce Double-Fill Army Duck Canvas provides extra protection from the elements and added insulation to keep the heat in when temperatures drop outside. This canvas is the strongest available and allows minimal shrinkage. 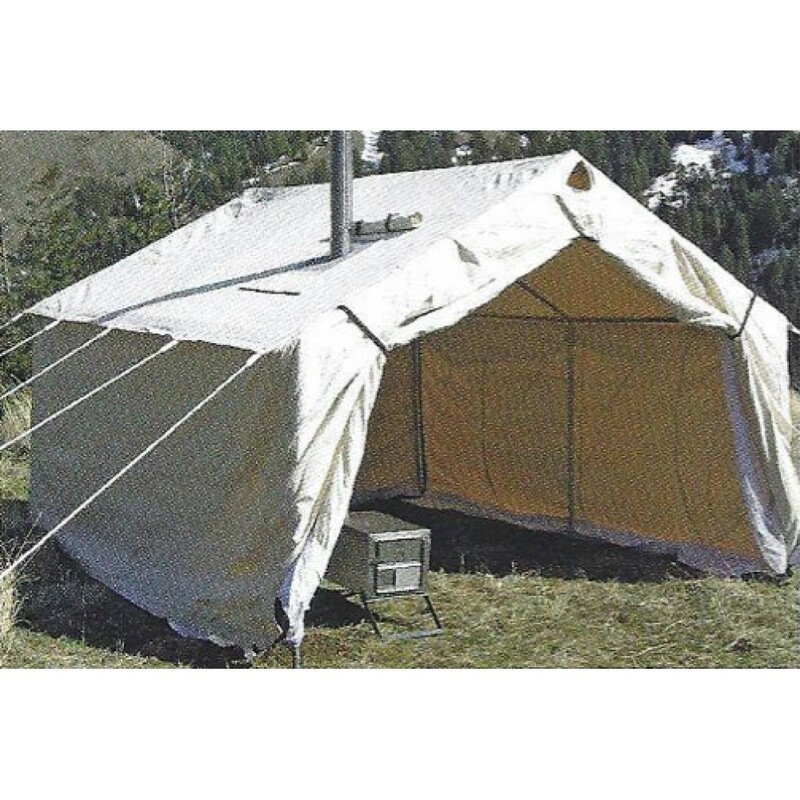 This outfitter tent is made from 12oz double-fill army duck canvas that is treated for water and mildew resistance. In addition, the canvas is treated with fire retardant so you can rest assured you'll sleep safe with your wood stove going. This is the toughest canvas available and shrinkage is less than 2%. Using a rain fly will ensure that your tent remains 100% water proof, while still allowing it to breathe. 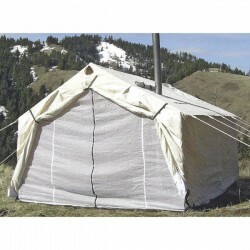 (1) 10' x 12' Magnum Canvas Wall Tent - does NOT include frame.